Five years ago Drake picked up his first Rap Album Of The Year Grammy for the seminal ‘Take Care.’ Since, Drake has become one of, if not the biggest superstar in music. 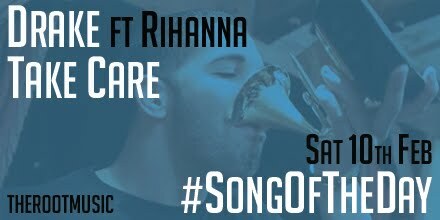 To celebrate the album’s title track featuring Rihanna is our #SongOfTheDay. Posted in UncategorizedTagged Drake, RihannaBookmark the permalink.